In additional to being able to personally customize what your pirate wears and how they appear to others, players will also have the ability to customize the Ship they choose to have their adventure on. When you first begin the game, your ship be included the most basic of essentials, ones that are necessary to have but have little pizazz or personality to them. Luckily, as you earn loads and loads of gold from participating in Voyages with the Trading Companies, you will eventually be able to personalize your sailing vessel with the help of the Shipwright Merchant Shops. At the Shipwright Merchant Shops, you will be able to find specific materials that can be added or used to upgrade your Ship to make it look like just how you would like it to. 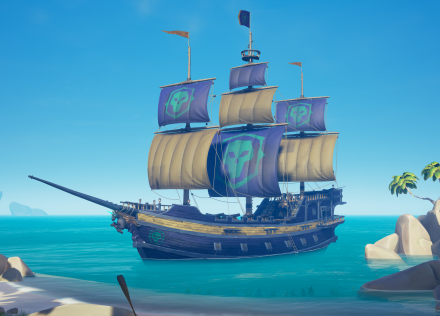 Not only do they have sails with various decals, but they also have loads of other Items (like various paint colors) that can be used to customize your ship. What's even better is that each of the Shipwright Stores will have different selections from one Outpost to the next! On top of this, you will even be able to purchase specific ship items associated with each the Gold Hoarders, Order of Souls and Merchant Alliance as you rise through the Reputation Ranks with each of them! 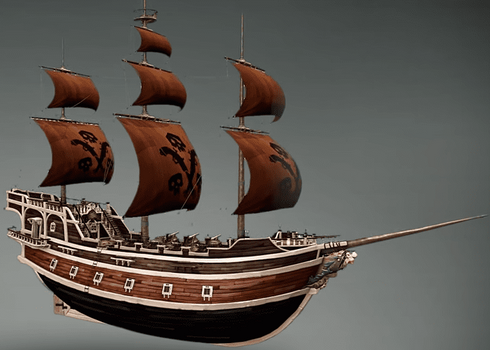 When Sea of Thieves was first released, you could only obtain the various Ship customizations naturally found at each shipwright, as well as the ones associated with the three main Trading Companies should you have the Reputation Rank with each of them to so do so. If you were to earn the Pirate Legend Title and head to the Legendary Hideout, unfortunately, Aethena's Fortune did not include any Items that you could purchase to customize your sailing vessel with. In one of the newest updates, however, this has now changed! Now, players who have reached the level of Pirate Legend can purchase sails, hulls, and figureheads from the shipwright in the legendary hideout that better corresponds to their Pirate Legend Title! No discussions open for Sea of Thieves at the moment.